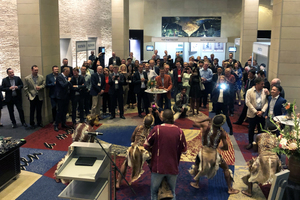 More than 100 delegates from 22 countries and five continents met from 10.10.-12.10.2018 for the General Assembly and Information Exchange Forum of the International Lime Association (ILA) in Cape Town. With Chile and China, two new members participated at the assembly. 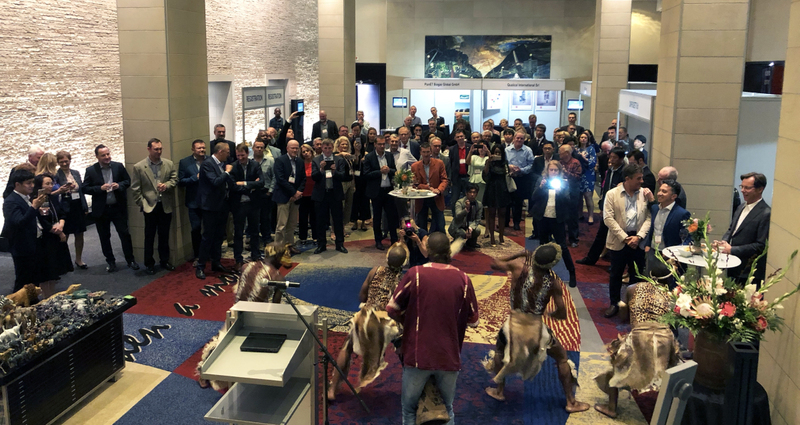 Following the ILA General Assembly, the attendees met on Wednesday evening for the welcome reception in the exhibition area. An entertaining dance demonstration got everyone in the mood for an interesting and eventful ILA Assembly. The experts present at the event used the opportunity to find out about the products and services offered by the participating exhibitors. 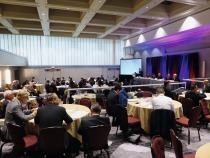 The second day was devoted to technical topics. In the Information Exchange Forum, just under 20 talks reported on the current situation in the industry and the outlook for its future. The last session focussed on technical innovations presented by respresentatives of the supplier industry, CO2 reduction and digitalization. In his welcome speech, Wayne Brown, the outgoing ILA President, thanked everyone who had contributed to the perfect preparation and organization of the Assembly: the South African colleagues at Idwala and PPC for their great support in organizing the event as well as ArcelorMittal, Saldanha Steel Plant, for hosting the group during the plant tour and the German organization team under the direction of the Secretary General Thomas Stumpf. His successor as ILA President, Paul Ellis, thanked Wayne Brown for his great work at ILA. Eugene van Aswegen, Idwala Ind. 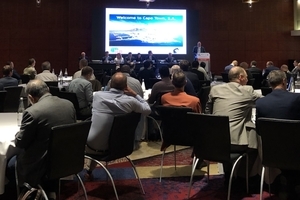 Holding, South Africa, opened the programme of talks with an overview “The South African lime market”. 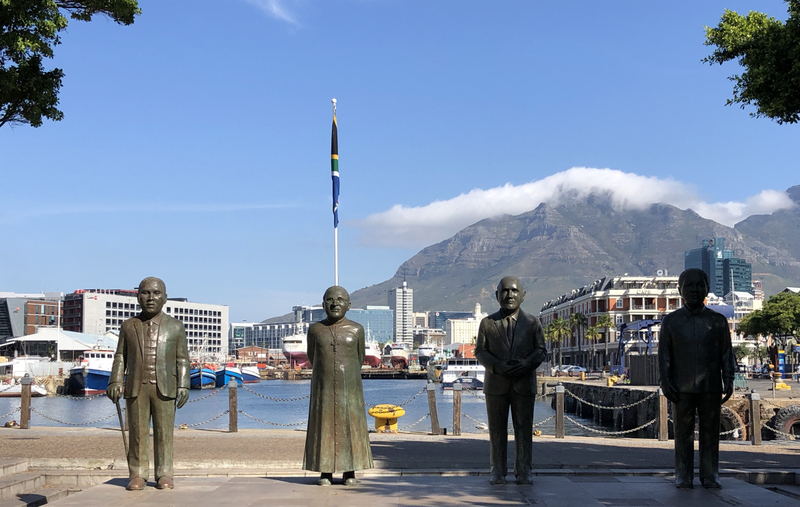 He explained that the largest limestone resource in South Africa occurs in a relatively narrow 150-km-long belt along the Northern Cape boundary. And gave an overview of the development of lime production in the country. Approximately 1.3 million t lime were produced during 2017, current producers are Idwala Lime, PPC Lime, Cape Lime and P&B Lime. The main buyers include the gold and uranium industry, growth markets include the agricultural and environmental industries. Isolated high-grade deposits of limestone have resulted in fewer plants with large outputs. Two producers supply in excess of 80 % of the market. 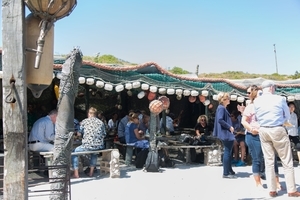 “Developing knowledge of limestone and dolomite sources and assessment of suitability for calcination in vertical kilns Southern Africa” was the topic addressed by Jeremy Gaylard, University of Witwatersrand, S.A. In comparison with Zambia, where new capacities have been created in the last six years and five main kiln types are almost evenly distributed, in South Africa the rotary kiln dominates with around 80 %. 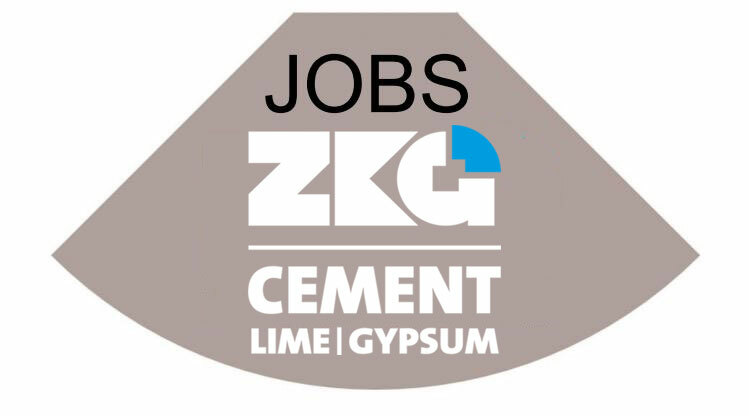 Gaylard maintained that with the variety of limestone types there is a need for updated test methods to assess stone suitability for vertical kiln operation. In a research project, samples from various limestone deposits in Zambia and S.A. were therefore tested and assessed to obtain basic findings for better evaluation of their suitability for use. Eleni Despotou, EuLA, Belgium, gave an overview on the “EU lime industry – state of affairs”. The EuLA comprises around 95 % of the European non-captive lime production. 21 national organizations with around 100 companies, 190 production sites and 470 lime kilns are organized within it. Despotou informed the attendees about the focuses of the EuLA, starting with health and safety to climate protection, which like CO2 reduction is one of the most important topics in the industry. A big unknown for the energy-intensive lime industry is the future price of the CO2-certificates. Future challenges for the lime industry are seen by the EuLA Secretary General in political pressure on GHG emissions, calls for economy/industry transformation, need for new investments, digital economy, demography considerations and innovation. To close, she informed attendees about the new EuLA Innovation report 2.0 from May 2018. To conclude the first session of topics, the representatives of the two new member organizations, China and Chile. BinKuan Yan, China Lime Association, presented “Development status and prospects of China’s lime industry”, which has a long tradition in China. The biggest lime buyers are currently the iron and steel industry (38.5 %) and the construction industry (38.1 %). After 40 years of rapid growth, China‘s lime industry is facing new challenges, which include climate protection. For a long time, the traditional shaft kiln was the main production kiln for construction lime. On account of environmental protection regulations, in recent years a large number of these kilns have been shut down. Some of these have been replaced with rotary and twin-shaft PFR kilns, with good quality, high output and productivity and low energy consumption. The lime industry is currently facing the following problems: the production layout is unreasonable, the industrial concentration rate is low, the lime enterprises are smaller and scattered and the large-capacity production plants are far away from the mining pits. Investments in new technology and R&D is low in the small plants. BinKuan Yan sees a lack of concept in the Chinese lime industry in respect of industrial development. There was, however, a great deal of potential for sustainable development, the replacement of old with modern kilns and an increase in production capacity. The increasing focus on environmental protection creates new sales possibilities for lime – an important economic growth point for China‘s lime industry. BinKuan Yan invited all attendees to attend the “International Exhibition of lime and deep processing technology and equipment” in Handan, Hebei province, from 26.10.-28.10.2019. 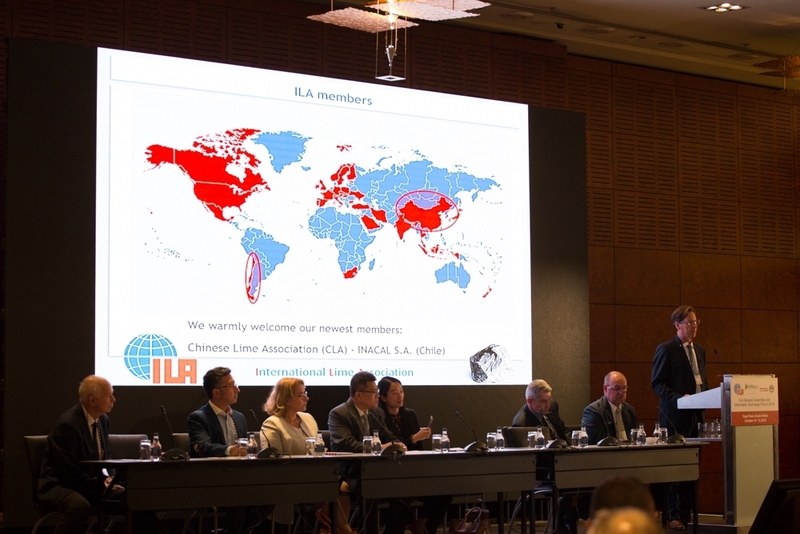 Eric Schmidt, INACAL S.A., Chile, informed attendees about the mining industry in Chile, which is dominated by the growing copper industry. Chile is currently mining around 27 % of the worldwide copper volume. The largest part of the lime goes into copper mining. The INACAL business unit is part of Cementos Bio Bio Holding and produces 1.2 million t in three plants with one vertical shaft kiln and four rotary kilns. 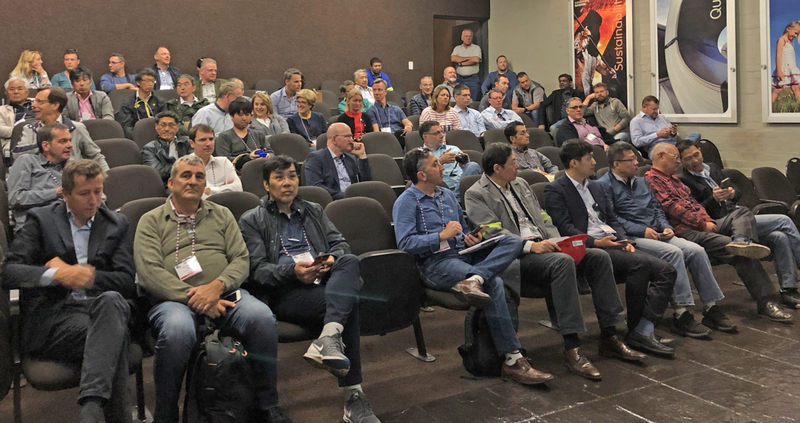 The second session of talks addressed one of the most important topics in the industry: health and safety. “The path to zero injuries” was the topic of Jeff Bittner, Carmeuse, United States. As the reportable injury rate in his company had stagnated over years, the company planned to reduce this. To achieved this, the company decided to get its employees involved and work together to develop a “zero injury strategy”. 88 employees from all areas worked together in ten initiatives to develop a commitment to zero injuries. It was important that the decisions were not imposed from the top, so the motto was: “Creating the culture that safety is important to all and must come first!”. For the years 2015 – 2018, a health and safety plan was drawn up. 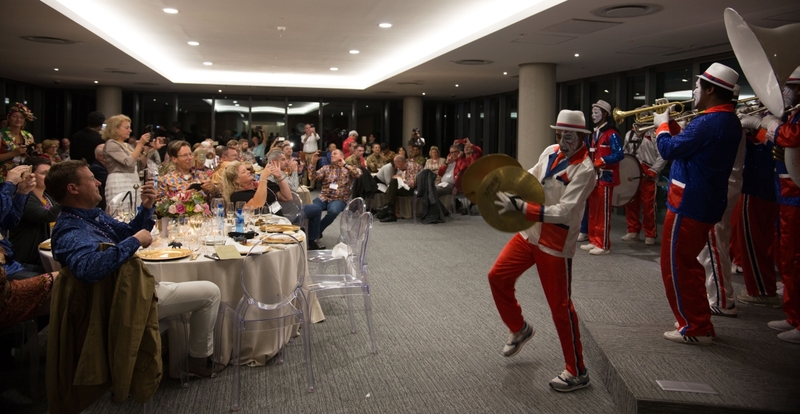 At Carmeuse, the company urged the employees to identify and eliminate risks not only in the professional environment but also in the private sphere. All experiences were shared. As a result, a falling trend in reportable accidents was achieved. Kohei Kawabe, Ube Material Industries, Japan, reported on “Lime kiln operation near Tokyo”. The company produces more than 1 million t/a CaO. One of the plants near Tokyo was to be improved in respect of climate protection. With various measures the content of dust, NOx and CO2 could be reduced considerably, and a contribution made to air pollution control. Helmut Ehnes, General Secretary ISSA Mining, Germany, reported on “Vision zero versus digital work: Risk or chance?” Every year, there are around 2.4 million work related fatal diseases and the question is whether the digital change will lead to more stress. New work forms need new ways of prevention, one example are driverless transport vehicles in a pit. For this, new risk assessments are also necessary. To close, Helmut Ehnes in his function as Secretary General of ISSA Mining, presented the member’s certificate to the ILA, which is the first association to join Vision Zero. 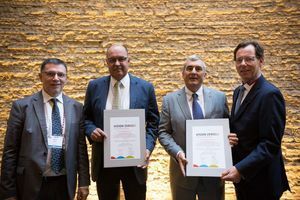 The ILA and ISSA Mining agreed on close cooperation to achieve the goals of Vision Zero (visionzero.global). “Digitalization and digital transformation” were the subjects of Jeff Y.J. Chen, University of Pretoria, S.A. He defined the ten types of innovation, from profit model through the process and the product performance to service, brand and customer engagement. In the next three talks, representatives of the plant engineering companies Carlo Cella, QualiCal, Italy; Stephan Lechner, Maerz Ofenbau, Switzerland; and Luca Sarandrea, Cimprogetti, Italy presented their partly different approaches to the topic of digitalization. Luca Sarandrea presented platforms for data collection, processing to data transfer and explained their possibilities. Mathieu Bouchard, Graymont, Canada, gave the auditorium a “Canada – Carbon policy update” and informed attendees about the many different climate regulations, especially on CO2 emissions of the individual provinces, which vary widely in some cases. “CO2 emission reduction” was also the focus of Mykhaylo Korylkevych, ULIA, Ukraine. In Ukraine, the share of producers in lime emissions of greenhouse gases is about 1 – 2 %.” He explained that the Kyoto Protocol was ratified by Ukraine in 2016 and from the middle of 2017 process development of methodology and law concerning greenhouse gas emission started in Ukraine. At present, a legal project is elaborated that will regulate CO2 emissions based mainly on the EU law standards. ULIA will play the role of consultancy company for the industry players. In the last talk, Bruno Kovacs, Gebr. Pfeiffer, Germany, presented “Simultaneous production of limestone meal and grain in a vertical mill”. With reference to an example he showed how the production rate can be increased while the specific power consumption reduced. 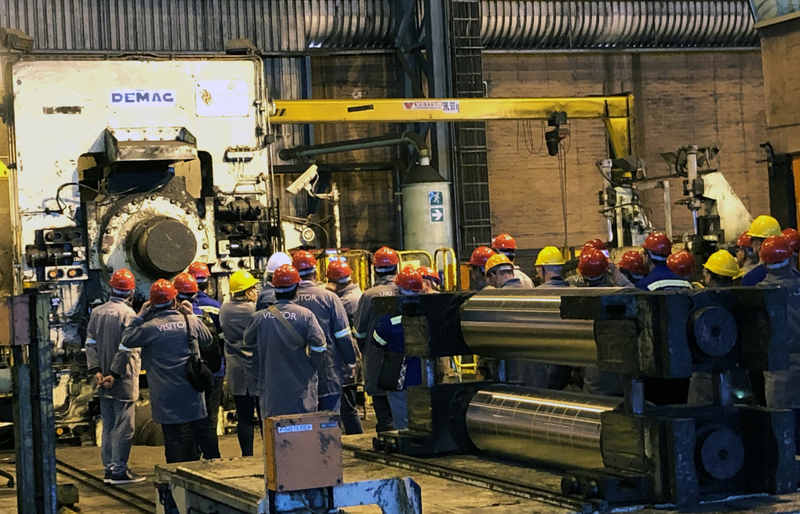 To close the programme of talks, Con Schoombie, PPC Lime, South Africa, gave an introduction to Friday’s plant visit to the Saldanha Steel Plant, ArcelorMittal. PPC Lime is integrated completely in the Saldanha Steel operations and has designed and built the raw material extraction and slag grinding units on site. 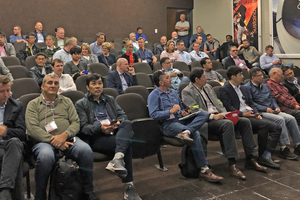 On Friday, the attendees visited the Saldanha Steel Plant, ArcelorMittal, which started operation in 1998 in which liquid pig iron is produced in the Corex process while iron sponge is produced in the Midrex process. Unfortunately, on account of an inspection, the plant was switched off during the visit. 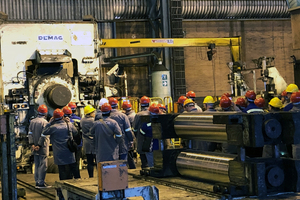 The group was still able to view the coil unit on which the steel is rolled to a thickness of 1 mm. The event concluded with a group lunch at a beachside restaurant. 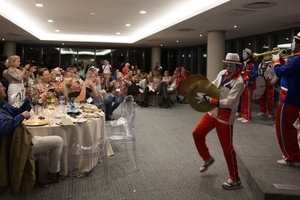 Here the attendees were able to review the very successful event together. 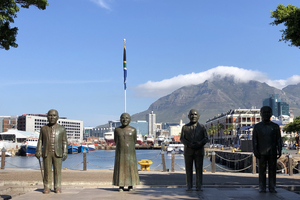 Thanks go to the South African colleagues at Idwala and PPC for their great support in organizing the event and the German organization team under the direction of the Secretary General Thomas Stumpf. 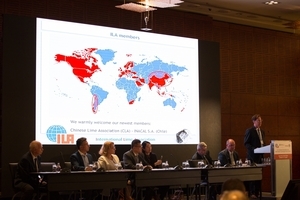 The next ILA General Assembly and Information Exchange Forum will take place in Buenos Aires/Argentina from 09.10.-11.10.2019.